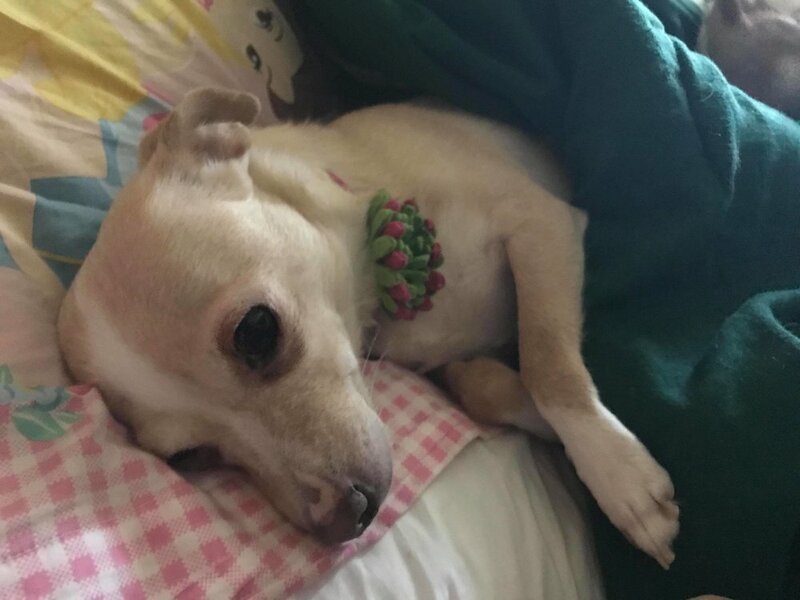 Peaches is a Chihuahua/Terrier that came to The Devoted Barn VERY pregnant. She's all done being a mom and is ready for her next step to finding her furever home. She is the princess and she knows it - her preferred throne is your lap. Her two favorite things in the world are belly rubs and treats. It makes sense, the more treats the more belly there is to rub! She adores her people. She is fine with other dogs who respect when she tells them to leave her alone. She is not a fan of cats, or young kids. The ideal home for her would be with no kids, or kids over 10 years old. Peaches is a calm girl, that's ready to relax, be loved, and give lots of snuggles. She doesn't need much room and be an ideal apartment dog. She is an awesome low-key dog who is ready to be someone's perfect companion. Are you ready to bring her into your loving home?